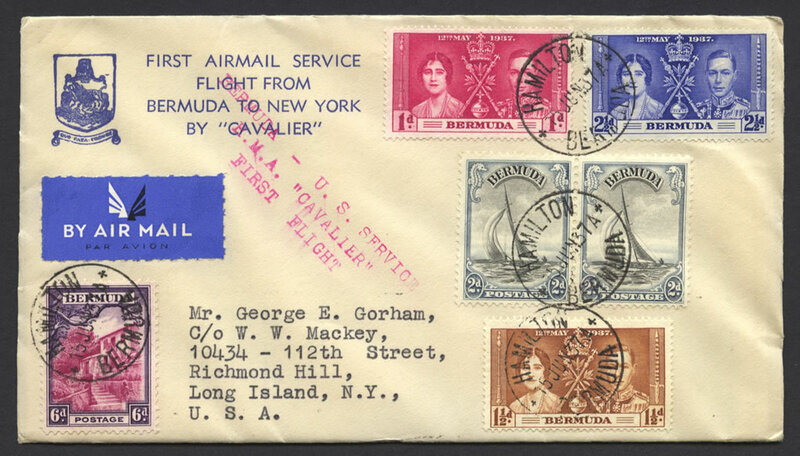 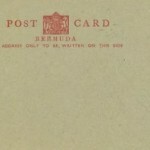 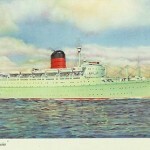 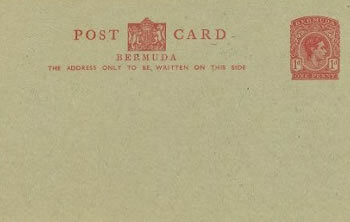 Address: Mr. George E. Gorham, C/o W.W. Mackey, 10434 – 112th Street, Richmond Hill, Long Island, N.Y., U.S.A.
Stamps: 3d and 6d King George VI pictorials. 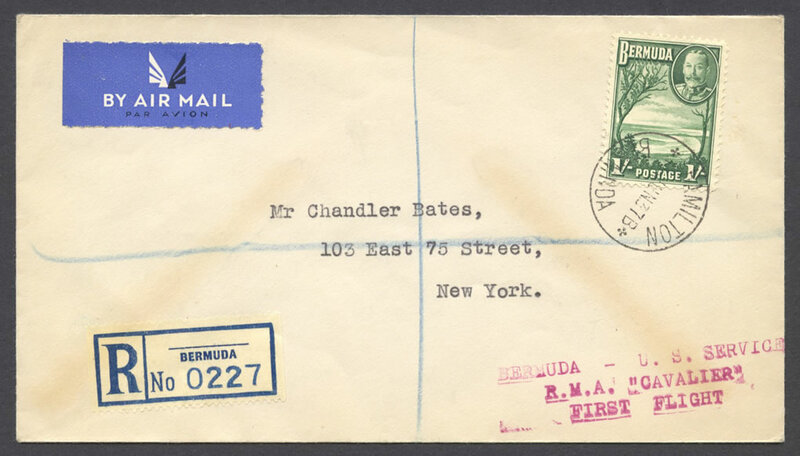 Backstamp: JUN16 7-PM 1937 NEW YORK N.Y.
Stamps: Coronation Omnibus issue 2 x 1d, 1½d and 2½d and 1/- King George V pictorial. 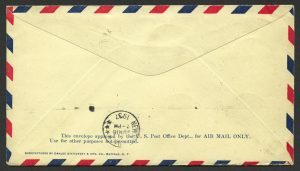 Stamps: 3d and 1/- King George V pictorials. 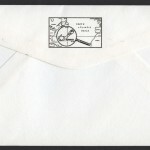 Address: MR. FRANK N. POND, 47 EAST 19TH STREET, NEW YORK, NEW YORK. 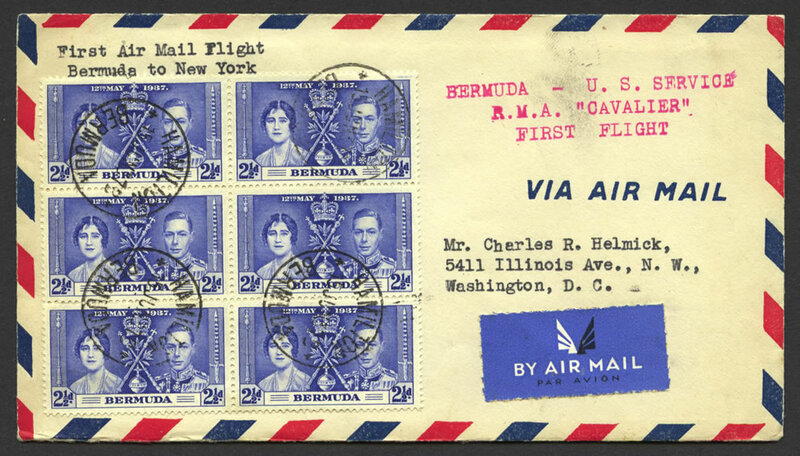 Stamps: Block of 5 3d King George VI pictorials. Address: Mr. Charles R. Helmick, 5411 Illinois Ave., N.W., Washington, D.C. 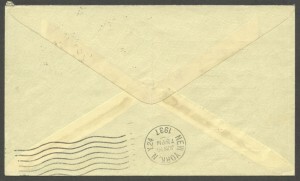 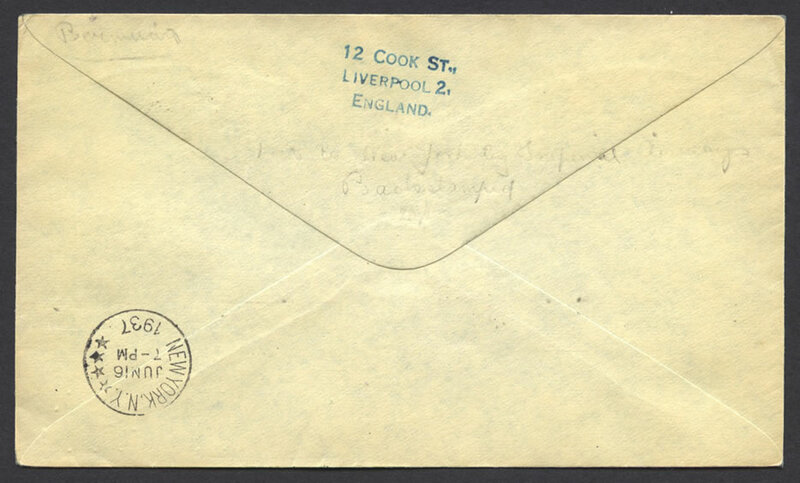 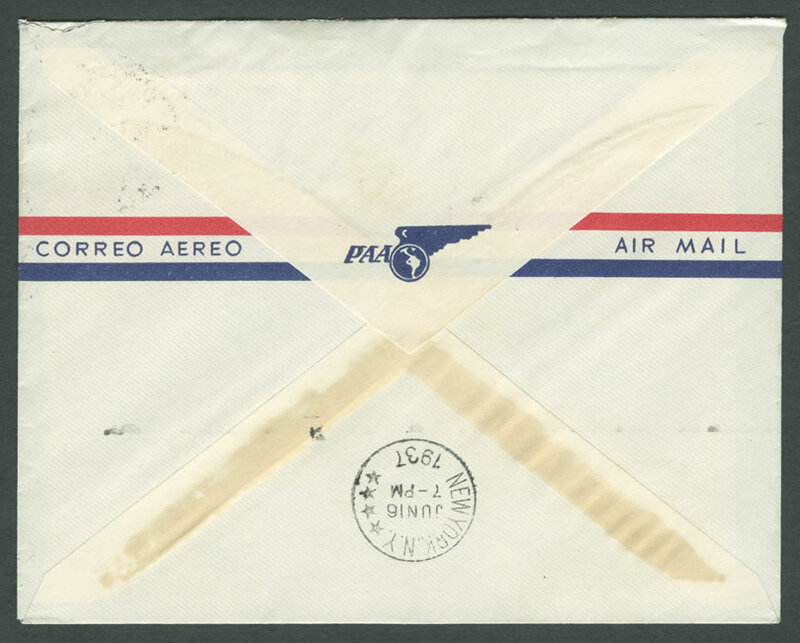 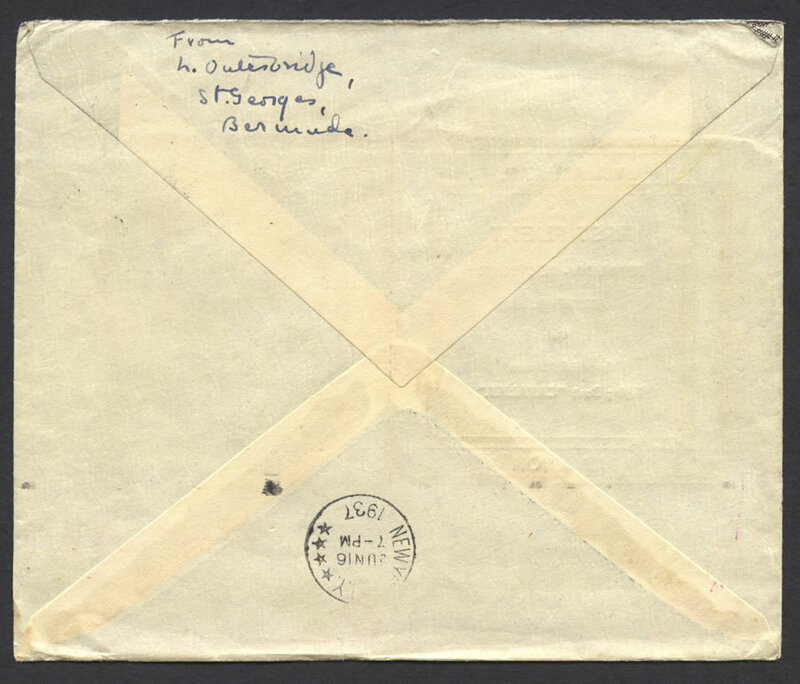 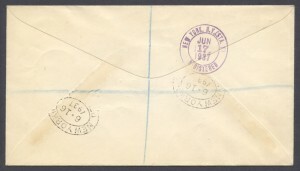 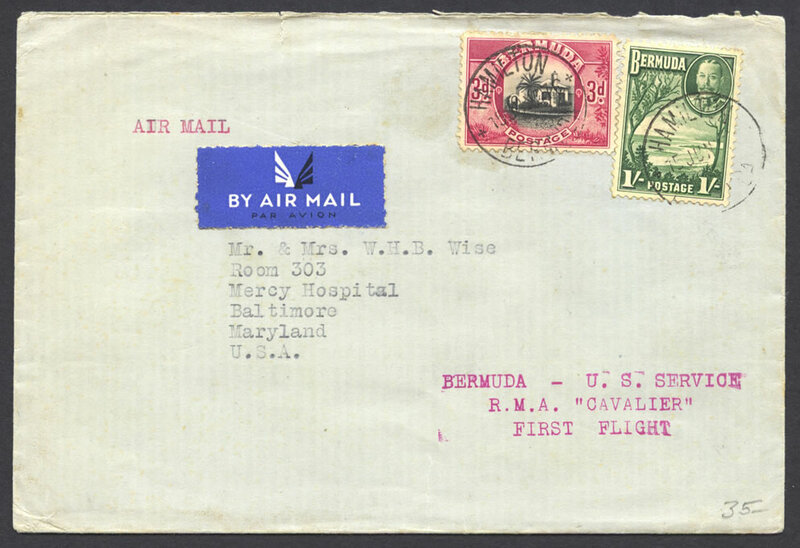 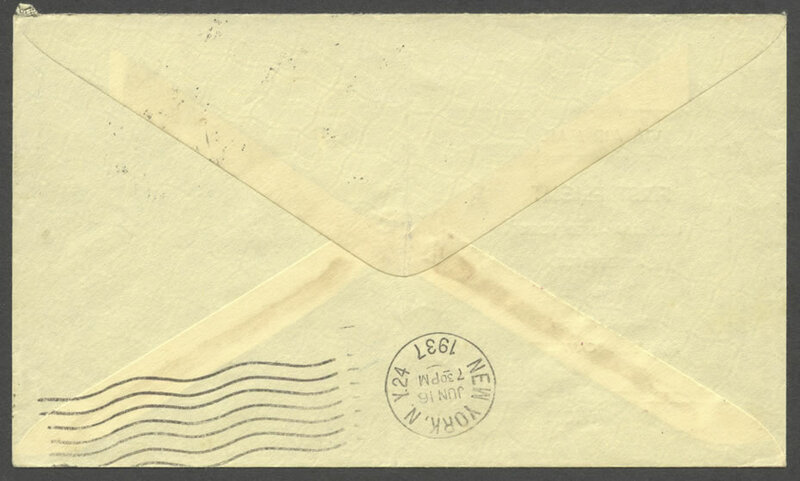 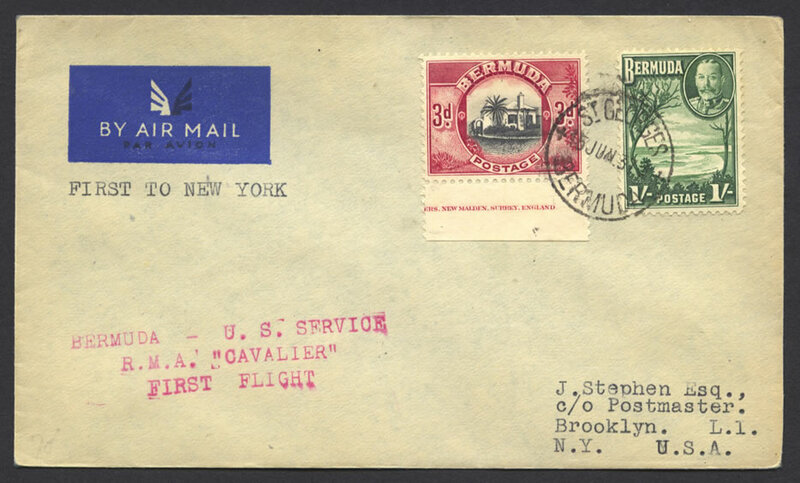 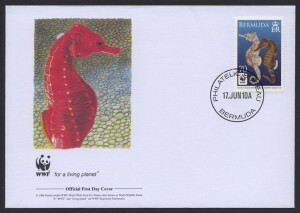 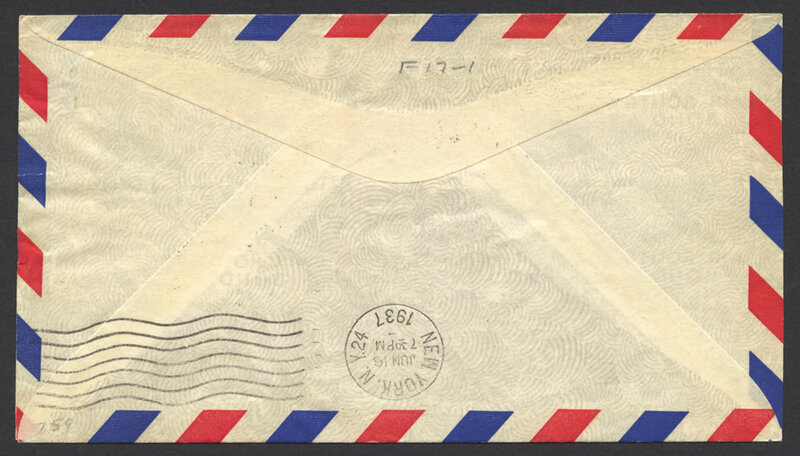 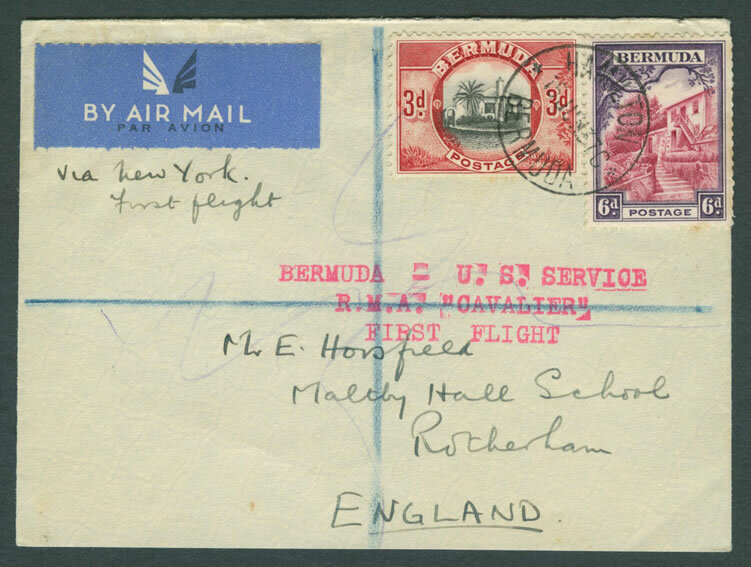 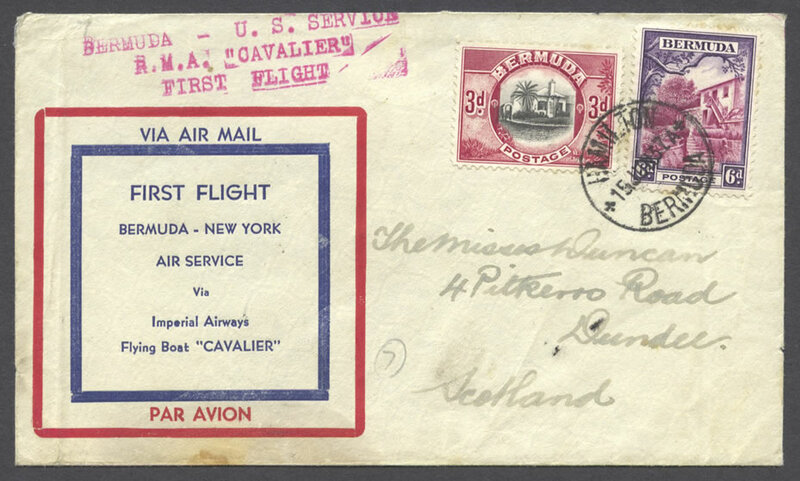 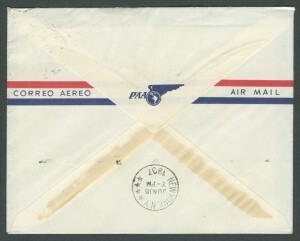 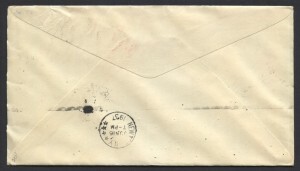 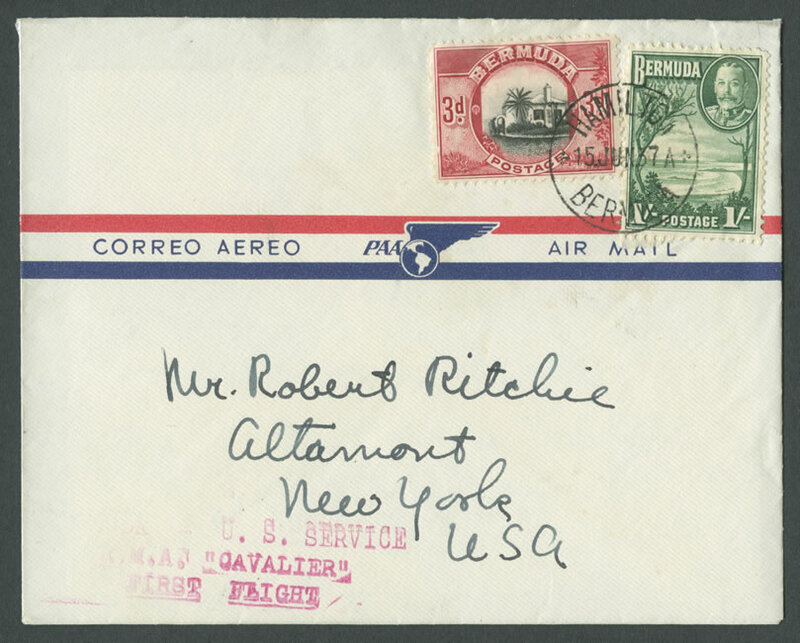 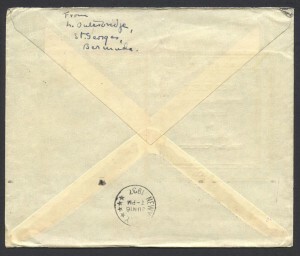 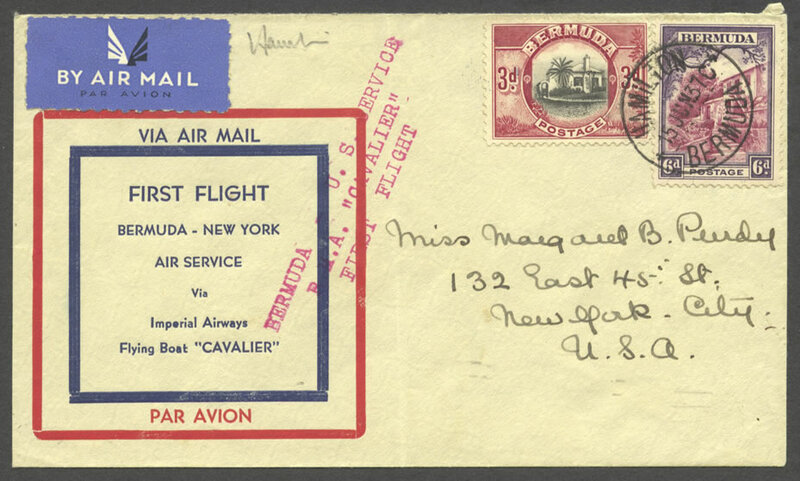 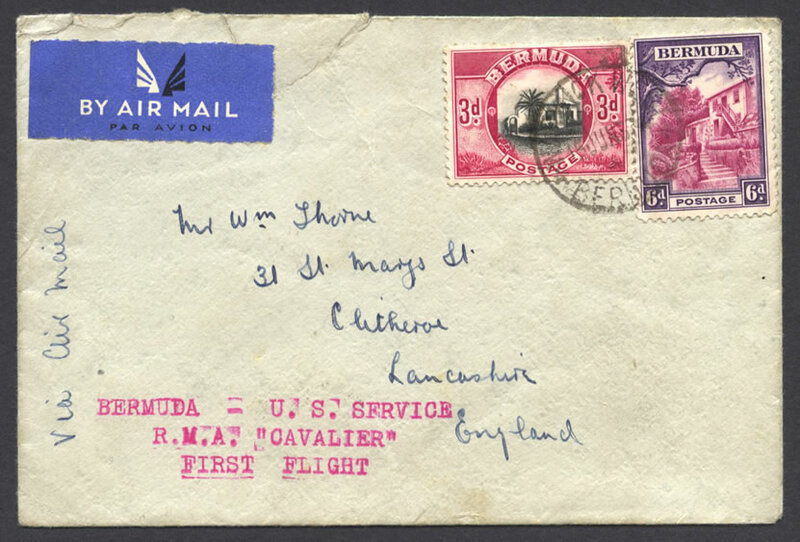 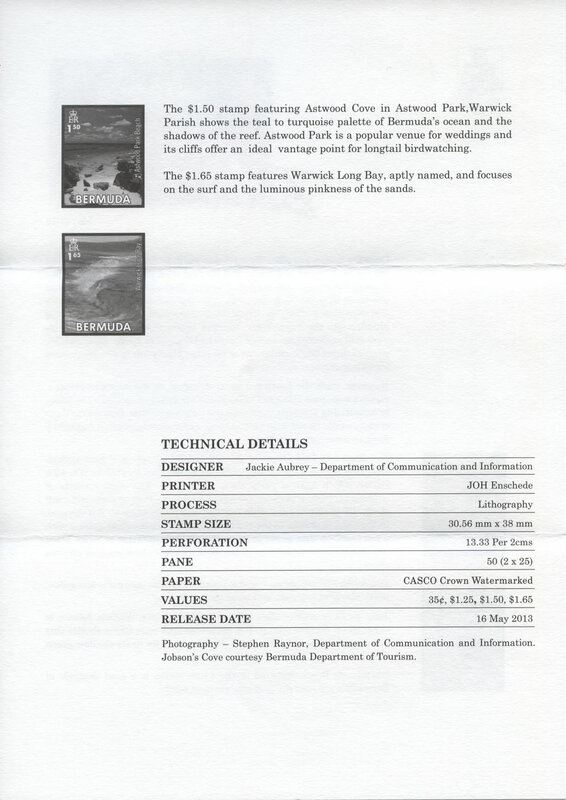 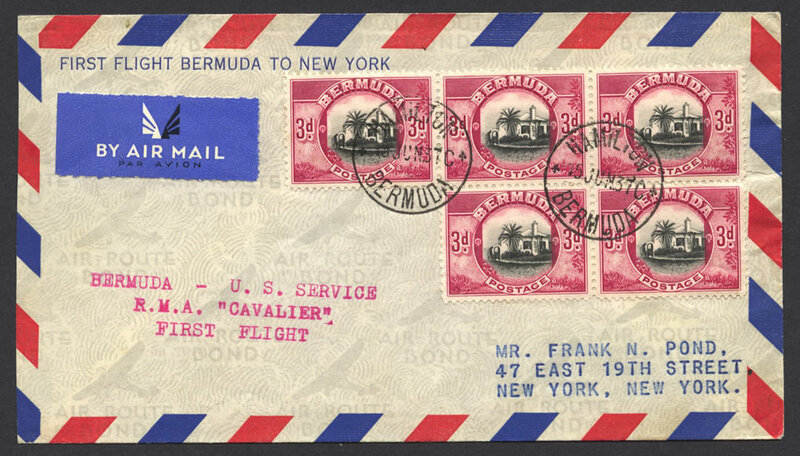 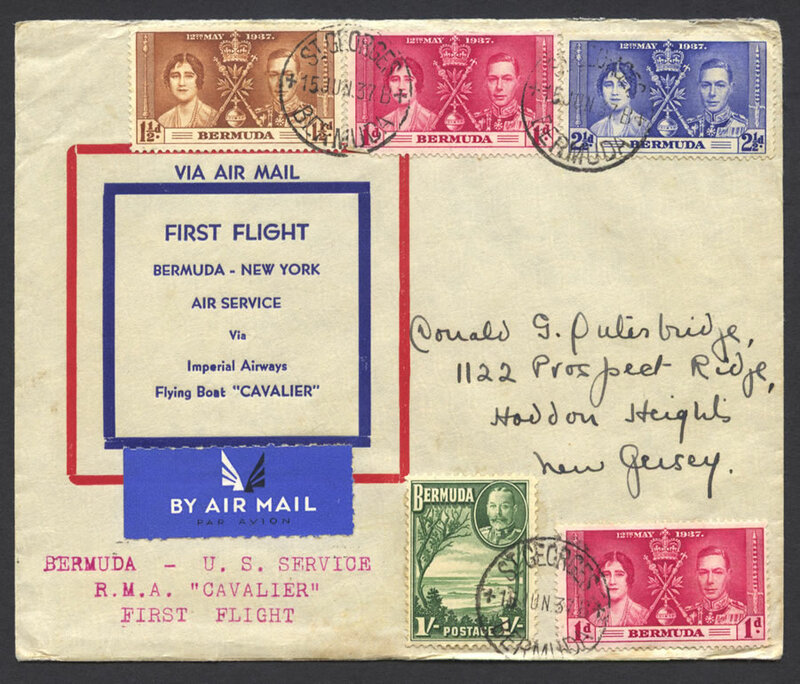 Envelope: VIA AIR MAIL / Reverse – This envelope approved by the U. S. Post Office Dept., for AIR MAIL ONLY. 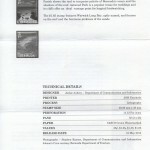 Use for other purposes not permitted. 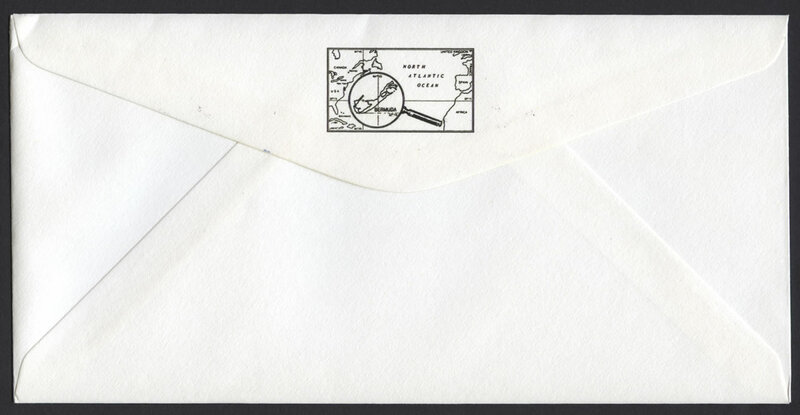 MANUFACTURED BY DAHLKE STATIONERY & MFG. 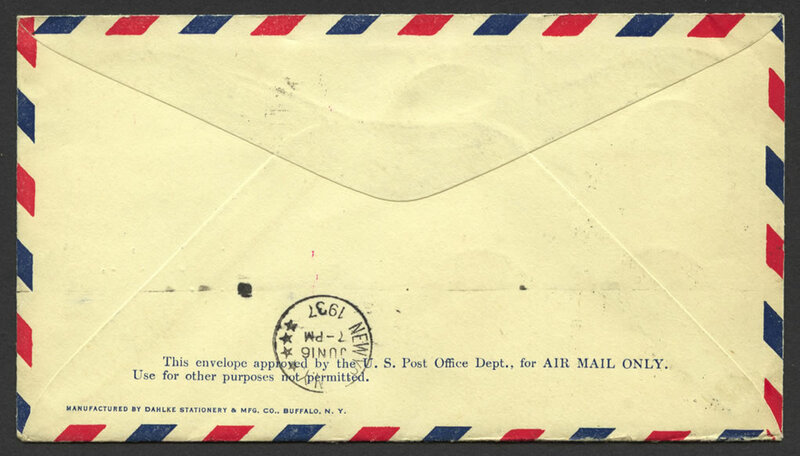 CO., BUFFALO, N. Y.
Stamps: 3d and 6d King George V pictorials. 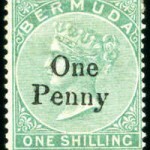 Stamps: 3d and 1/- King George V/VI pictorials. 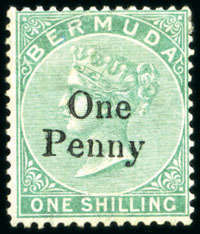 Stamps: 1/- King George V/VI pictorials. Stamps: 3d marginal and 1/- King George V/VI pictorials. 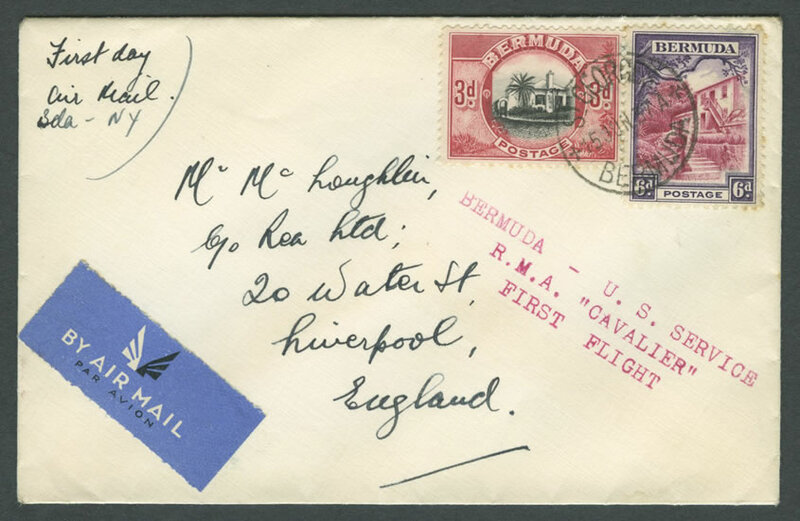 Stamps: 3d and 6d King George V/VI pictorials. 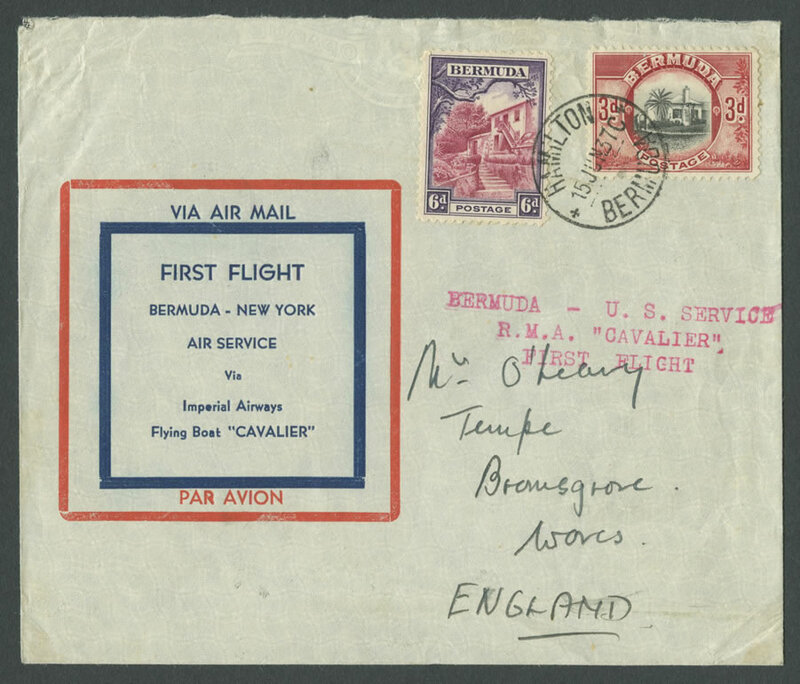 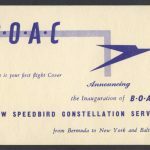 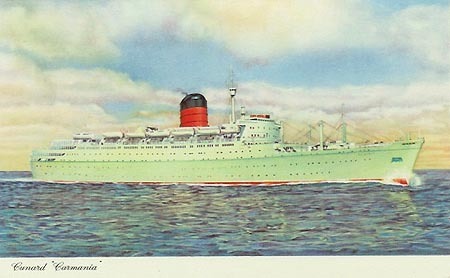 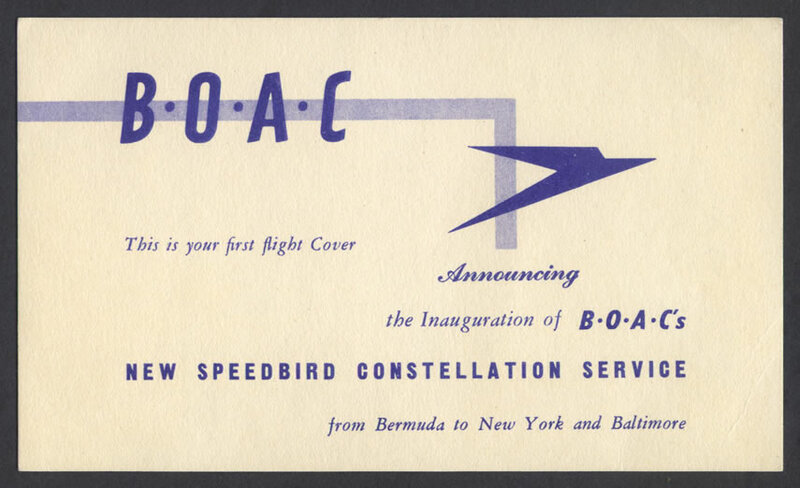 Drama marked the start to-day of the first passenger flight from Bermuda to New York, made by Imperial Airways flying-boat Cavalier. 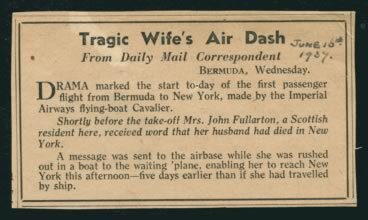 Shortly before the take-off Mrs. John Fullarton, a Scottish resident here, received word that her husband had died in New York. 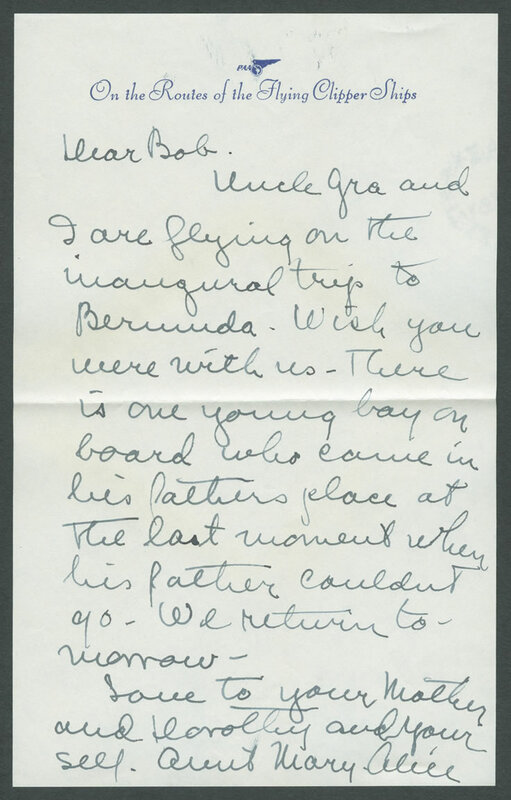 A message was sent to the airbase while she rushed out in a boat to the waiting ‘plane, enabling her to reach New York this afternoon this afternoon – five days earlier than if she had travelled by ship.